lydia purple: Boy, oh Boy! 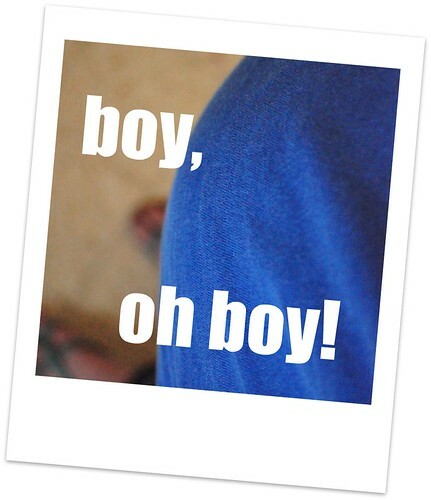 We are expecting a boy! I am currently 18 weeks pregnant, so that's almost halfway done, yeah! I was blessed to have no sickness at all this time, I only was really really tired, but after a few days of springy sunshine that's all over now! I am totally excited, because really, this is just two new sewing adventures ahead of me: Making some of my own maternity clothes and sewing for a boy! Since it's a summer pregnancy there are just tons of options for nice maternity tops, skirts, dresses etc... My brain is already going wild for a while now and I couldn't wait for the bump to finally appear, so I can start dressing him up! I've got a pile of most pretty fabrics on my sewing table and my sketch book is getting filled with random pattern drawings... I think of posting one maternity project a week from now on and I'll see how far I get. (I don't think I'll make new maternity clothes in week 39...) But if you're pregnant and like to sew or would like to make your own maternity clothes some day, check back often!